For 10 generations, the Bofferding’s beer, recognized as a beer of tradition and which is 100% natural, is strongly anchored in the Luxembourg heritage. But it’s constantly looking for excellence and modernity in its production tools. 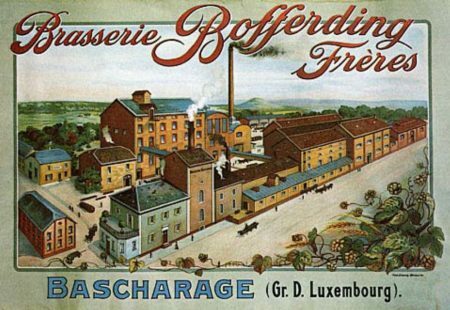 The National Brewery was founded in 1975 as a result of the merger of two existing breweries – the Bofferding brewery founded by Jean-Baptiste Bofferding in Bascharage in 1842 and the Funck-Bricher brewery founded nearly 80 years earlier, in 1764, which was then located in the Grund district of Luxembourg City. 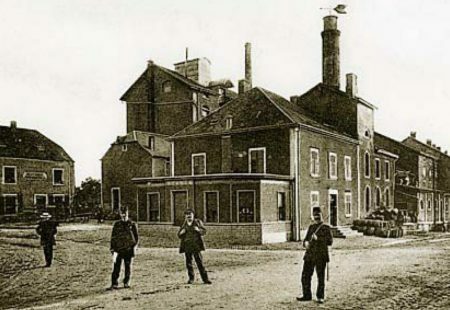 At the start of the 20th Century the country was home to around sixty or so brewers, among whom Funck-Bricher and Bofferding were doing particularly well. Indeed, the former, for example, was awarded the highest accolades in the form of various gold medals and diplomas of honour at the 1930 International Exhibition in Liège and the 1935 Universal Exhibition held in Brussels. In the wake of World War II, the Grund-based brewery even boasted the country’s most modern brewhouse. The Bofferding brewery, for its part, having installed the first industrial beer production equipment in 1851, continued to innovate on a regular basis and by the start of the 1950s, for example, had replaced the traditional wooden casks with aluminium ones before bringing the first automatic bottled beer dispenser into operation in 1969. 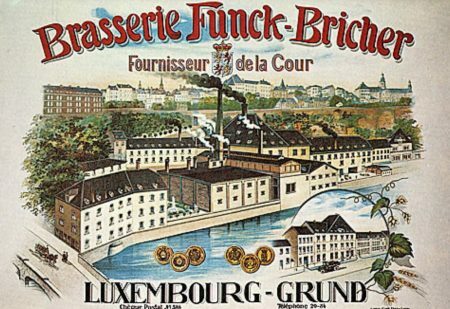 The decision to merge the two companies in the mid-1970s and to do away with the Funck-Bricher brand in the process reflected a desire to both increase market share and improve the sustainability of Luxembourg’s strengths in the face of increasingly tough global competition. The market was also becoming increasingly narrow, with the number of breweries in the country falling to half a dozen by the end of the 1980s and just three by the mid-2000s! The merger was, nevertheless, a resounding success. Under the leadership of Georges M. Lentz Jr, a descendant of the brewery’s founders, the National Brewery went from strength to strength over the years, eventually becoming Luxembourg’s leading brewery. Its constant efforts to modernise and technologically innovate also served to improve performance and limit its impact on the environment. The improvement of the so-called Merlin production process, which was both more economical and more efficient, was honoured with an industrial environmental prize awarded by the Federation of Luxembourg Industrialists. 2004 marked another turning point in the National Brewery’s history with the takeover of the Battin brewery – another family-run institution founded in 1937 -, with which the National Brewery had already developed close commercial ties over the course of many years. 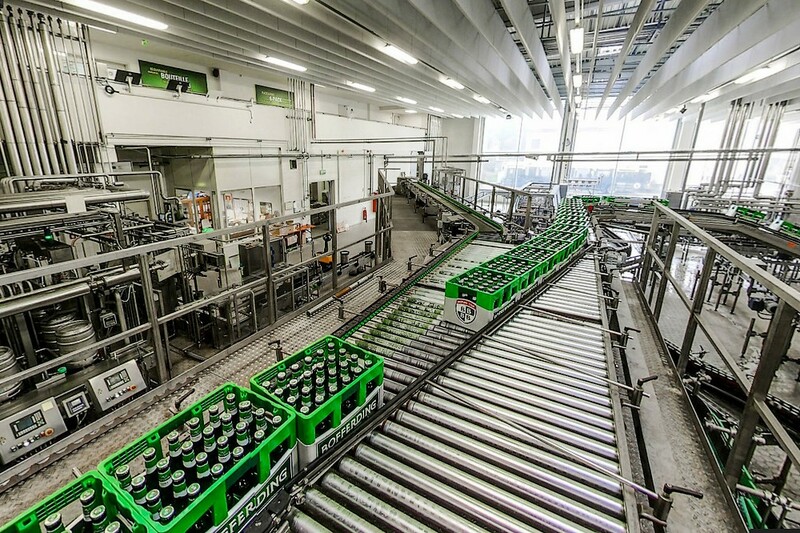 The brewery invested tens of millions of euros in expanding and modernising its production facilities in the process, even acquiring new equipment designed to detect abnormalities in bottles and labelling equipment. Boasting a good location in the border region with over 900 points of sales in Belgium and France), the Brewery broadened the scope of its activity in 2007 with its attempts to enter not only the US market but also the Chinese market, to which it now exports some of its goods directly via local partner the King Mang group. The group also formed another partnership with a local distributor in Colombia in 2014. 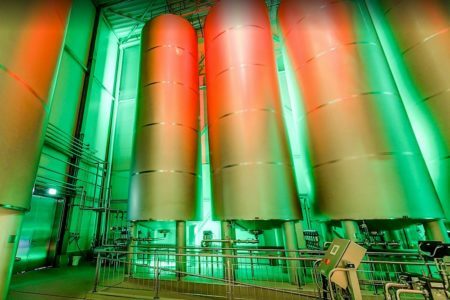 The 10th generation of the family is now active in the National Brewery and employs nearly 260 people, with a share of over 60% (over 150,000 hl of beer sold) of the market for beers brewed in Luxembourg and generating a turnover of some 11 million euros. Its wholly-owned Munhowen subsidiary dedicated to distribution operations, meanwhile, exceeds 68 million in turnover (373,000 hl distributed and an EBITDA of 5.6 million euros).